Early February saw several members of Johnny’s Research, Breeding, and Sales teams head west for the Organic Seed Alliance’s 8th Organic Seed Growers Conference: Cultivating Seeds of Resilience. The Pacific Northwest is a powerhouse for seed production in the US, and Johnny’s has many loyal customers and seed producers there. 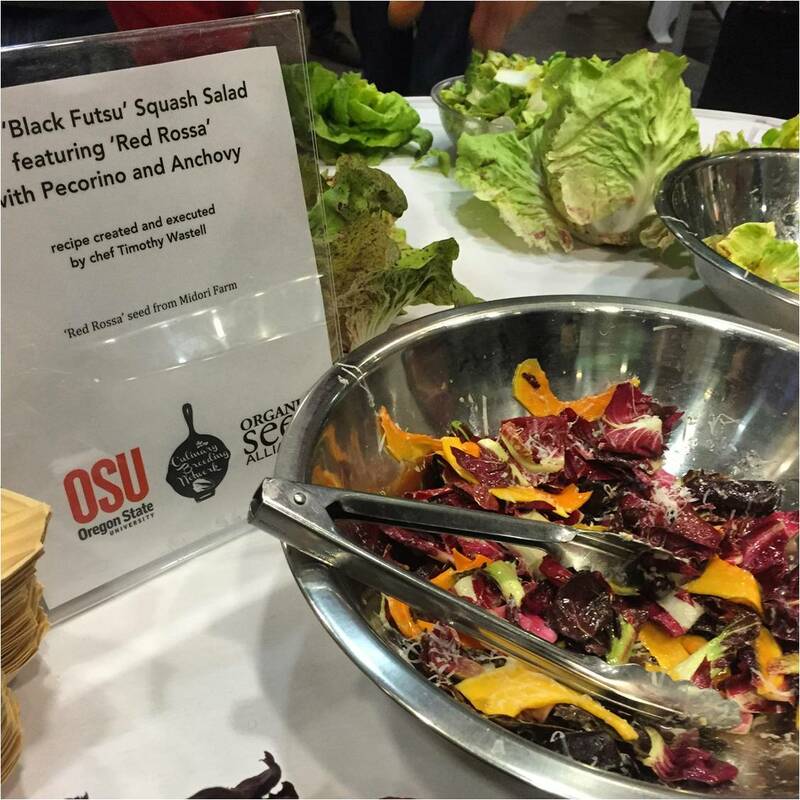 The Organic Seed Alliance (OSA) is a strong voice in the conversation around organic seed production, and over 500 farmers, plant breeders, seed producers, researchers, and others came together for the four-day event at the Oregon State University campus in Corvallis, Oregon. Much of the conversation during the conference revolved around building resilient seed systems at local and national levels. As our food systems come under increasing pressure from changing climate, changing politics, and changing regulations surrounding seeds, the need grows for systems that can withstand future shocks and stresses. Lindsay Wyatt, Squash and Pumpkin breeder at Johnny’s, made contact with cooperators for conducting butternut squash trials this upcoming summer season. John Navazio, Root Crop and Leafy Greens breeder, and Myra Manning, Product Technician, paid visits to several trial sites and cooperators on the west coast. Trialing our products with farmer–cooperators connects us with a community of expert growers with whom we can evaluate prospective new releases. John Navazio, Lindsay Wyatt, Lainie Kertesz, and Brenna Chase combined forces to give a talk titled Perspectives of a Successful, Independent Seed Company — discussing Johnny’s history as a seed company and contributions to the field of plant breeding. It was a fitting tribute to the work done by Rob Johnston, Janika Eckert, and so many others over Johnny’s long and successful history. Rob Johnston and John Navazio were both invited to participate on a panel of Seed Elders. 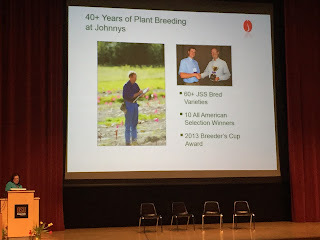 Panel members included Carol Deppe and Frank Morton, among others recognized for their valuable contributions to the fields of plant breeding and sustainable seed systems. Rob Johnston, unable to attend due to personal reasons, was notably missed. 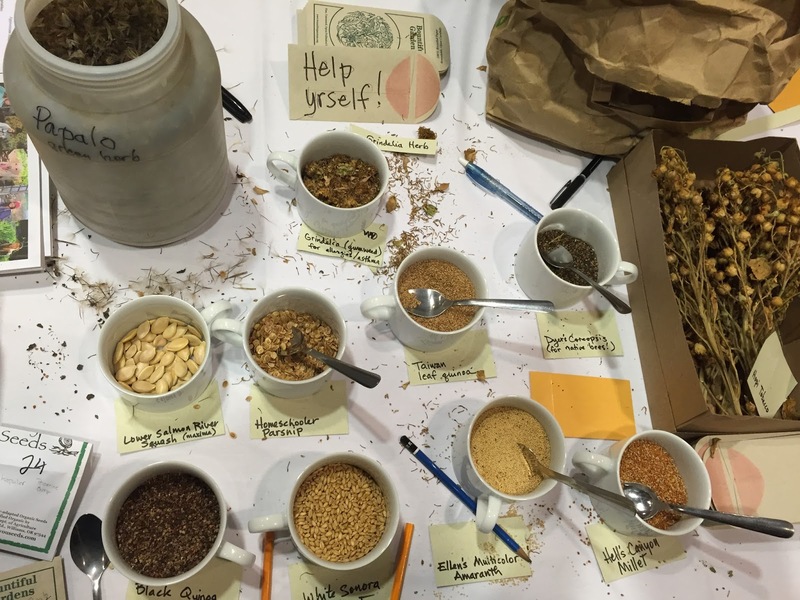 The Organic Seed Alliance announced some results from their most recent assessment of organic seed production in the United States. The State of Organic Seed 2016 report showed an increase in growers using organic seed on their farms, but also stressed the reality that many farmers still face difficulty in sourcing organic seed in large quantities or for specific varieties. This kind of feedback from growers is critical to making sure our efforts match what our customers need. Events like the Organic Seed Alliance conference give us the opportunity to get a sense of the market and calibrate our breeding and research efforts accordingly. Much of the conversation during the week revolved around to how to involve people from the whole food system — from breeding to eating. The OSA coordinated several “tastings” over the course of the event, giving participants a chance to taste and evaluate several varieties of cabbage, chicory, barley, and squash. A favorite was the raw Black Futsu Squash salad with anchovies and chicory. Johnny’s crew met with Lane Selman from Oregon State University to discuss the Culinary Breeding Network — an exciting venture working to connect farmers, chefs, and plant breeders in the efforts to breed and distribute flavorful vegetables. 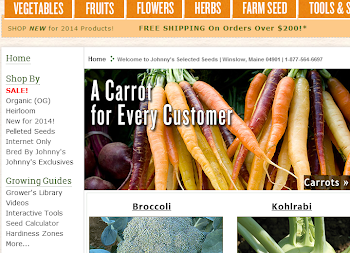 If you are a chef, keep an eye out for new varieties from Johnny’s! The conference provided opportunities for Johnny’s crew to hear and participate in some of these conversations. While yielding more information than can fit into a short blog post, we came away with much to think about and some ideas for how we at Johnny’s can contribute to building resilient seed systems. 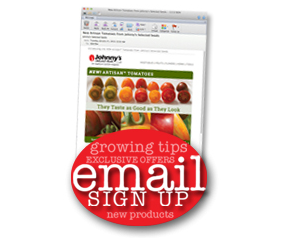 What issues related to seed production and seed systems are important to you? Where do you see the need for more work in seed research and plant breeding? How are you “cultivating resilience”? Thanks for reading — and best of luck to you, in whatever ways you are cultivating resilience! I need to find a sting of food beads like that, love them! Thank you for the tips. I am excited to get started on this. I want to read all your posts concerning this topic. I hope that you will help me with my garden. Best of everything! I like cooking very much and that is so good for me to have your post at hand to use it. Seeds are needed for me because I like gardening and that would be nice to buy new seeds like that. Quick Pest Control provide tailor-made Cockroach Control inRomford services dependent on your circumstances and budget. From individual visits to long-term contracts, we are confident that we can provide you with an unrivalled service at a highly competitive price. 192.168.l.l is one of the common DNS Server IP addresses which the routers use as an access point. These servers act as a layer of abstraction for translation between hostname and IP addresses.